Google Translate can speak in a variety of accents. And it's not just English. The days are over when Google Translate could only provide spoken translations with an American accent. The latest iOS version adds regional accents from the former British Empire. And it goes beyond English. French translations can be said in a Canadian accent, for example. 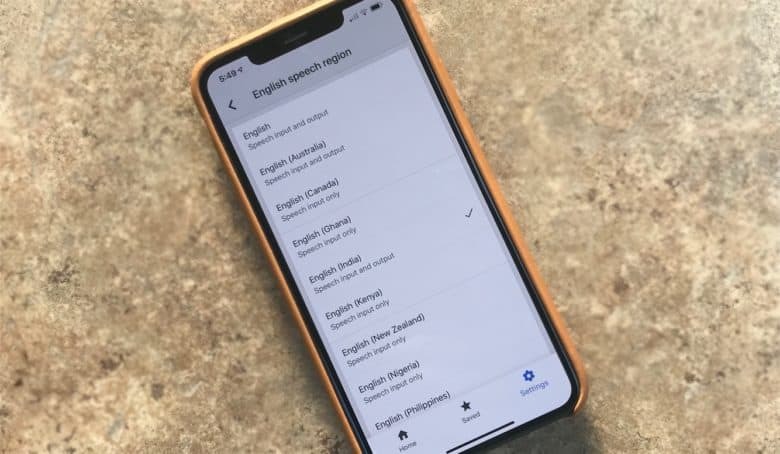 Or Spanish can be spoken as it is in Latin America, Spain, or the U.S.
Google Translate can be set to listen for languages from far more regions. It can only speak them in a handful of accents so far, however. English: Australia, India, U.K., U.S.
Spanish: Latin America, Spain, U.S. This software is available now on the App Store. It’s free to download and to use. The new regional options appear in Google Translate 5.24.0. Anyone who wants to waste some time can have this app “translate” from American English to British, Australian, or Indian English. It will just say the same words, but with the appropriate accent. Those who need translations when an constant Internet connection can’t be counted on should be aware that Neural Machine Translation (NMT) was recently added to the online version of Google Translate to make it much more accurate.